Many of us, either as students or as instructors, will have experienced the phenomenon that students are more likely to give a correct answer when the context is familiar [Linn & Hyde, 1989; Chapman et al 1991]. Conversely, a lack of familiarity may induce students to panic about the context and fail to listen in a lecture [Rosser, 2004] or to appreciate the point of a question in an examination. Your dictionary probably gives two meanings for context: ‘surrounding conditions’ and ‘a construction of speech’. You would think that the importance of teaching by reference to the surrounding condition is so obvious as to require no comment; except professors forget that conditions experienced by students are different to their own, both now and when they were students [Nathan, 2005 & ‘Creating an evolving learning environment’ on February 21st, 2018]. To get an appreciation of how different consult the ‘Mindset List‘ produced each year by Beloit College; for example as far as the class of 2020 are concerned robots have always been surgical partners in the operating room [#55 on the 2020 Mindset List]. What about the construction of speech? I think that there is an engineering idiom because engineering education has its own ‘language’ of models and analogies. Engineering science is usually taught in the context of idealised applications, such as colliding spheres, springs and dashpots, and shafts. It would be wrong to say that they have no relevance to the subject; but, the relevance is often only apparent to those well-versed in the subject; and, by definition, students are not. The result is a loss of perceived usefulness of learning which adversely influences student motivation [Wigfield & Eccles, 2000] – they are more likely to switch off, so keep the language simple. Chipman S, Marshall S, Scott P. Content effects on word problem performance: A possible source of test bias? American Educational Research Journal, 28(4), 897-915, 1991. Linn M, Hyde J, Gender, mathematics, and science, Educational Researcher, 18(8), 17-19, 22-27, 1989. 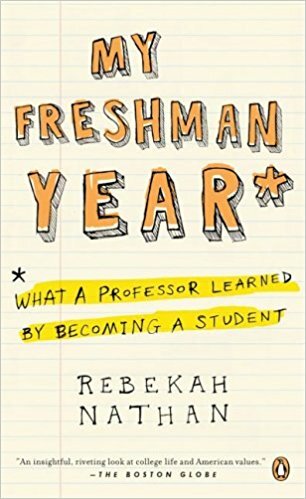 Nathan R, My freshman year: what a professor learned by becoming a student, Cornell University Press, Ithaca, New York, 2005. Rosser SV, Gender issues in teaching science, in S. Rose. and B. Brown (eds. ), Report on the 2003 Workshop on Gender Issues in the Sciences, pp. 28-37, 2004. Wigfield A, Eccles JS, Expectancy-value theory of motivation, Contemporary Educational Psychology, 25(1): 68-81, 2000. This entry was posted in Creating A Learning Environment (CALE), education, Engineering, everyday engineering examples, mechanics, Real life and tagged 5Es, CALE, dynamics, education, Engineering, learning, learning environment, mechanics, student motivation on September 12, 2018 by Eann Patterson.